You’ll want to try a Barre Class at Club USA Fitness! They are designed for everyone – women, men, runners, swimmers, housewives to weekend warriors. BARRE FUSION classes are a whole-body workout using an effective blend of ballet, dance, and fitness movements at the barre. Utilizing hand held weights for a chiseled upper body, creative leg combinations that will leave your legs sleek and defined and isometrics for ROCK HARD ABS. Barre Fusion will trim, tighten, and tone your entire body. Our Barre classes in Littleton will engage your small, accessory muscles, in addition to your larger muscle groups. By isolating, overloading, and stretching each muscle group, one by one, our client’s bodies appear long and lean. Barre Fusion Class combines several techniques to accomplish your desired goal! Pilates, yoga, dance, cardiovascular exercise including some classes with boxing! Classes are designed using the principles of barre technique (working each muscle group to fatigue through targeted isometric movements), Barre Class will effectively produce a body that is more sculpted and lean than ever before. Prepare to chisel your arms, shape your thighs, lift your seat, and flatten your abs from a variety of positions with a blend of innovative choreography. Barre Fusion workout moves at a fast pace, each instructor providing specific modifications for beginner as well as advanced students. Consistent attendance in this class will result in better posture, increased energy, lean muscle mass, and even weight loss. Each Barre Fusion will use the ballet barre, weights, bands, and exercise balls to give each Barre class its own fun and unique flair. 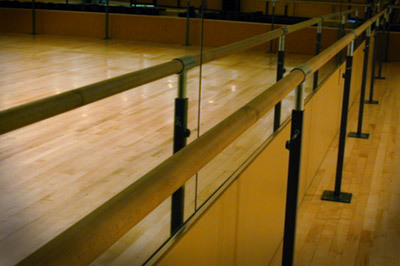 Club USA offers a variety of barre classes to fit every BODY’s needs and fitness levels. We offer express barre class and cardio barre class that are only 45 minutes, but that will still give you an amazing full body workout!! Our barre fusion class is a 60-minute full body workout that will lengthen and strengthen each muscle group. If that’s not enough we also offer a barre and foam roll class that is 75 minutes, stay an extra 15 minutes and treat your fatigued muscles to a foam roll session to help relieve tight muscles!